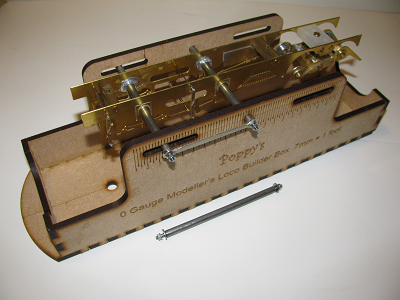 Poppy’s Loco Builder Box is designed to enable you to build your locomotive kit and maintain a straight, square frame, structure and free running mechanism more easily. It provides a stable base for loco building, freeing your hands for those trick and hard to hold parts. 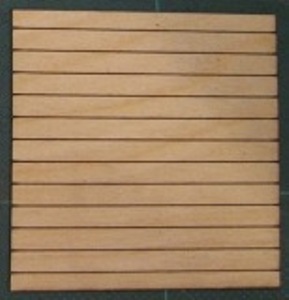 -	Provides a convenient place to keep parts for the next few steps of the build, and catch small parts that drop during handling. There are 6 versions, Small, (industrial locos and tenders), Medium (up to 35ft footplate), Large (over 35ft), 8 Coupled, 10 Coupled, and a very short wheel base version for narrow gauges. All boxes come with witness axles. 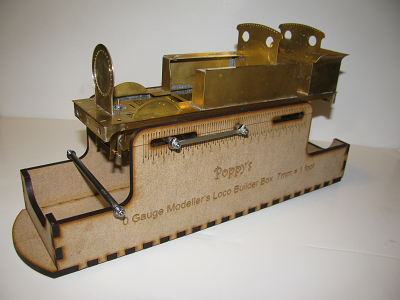 Many scales, gauges and axle configurations can now be confidently built using Poppy's Loco Builder Box. Please refer to the table to select the correct version for your loco. If in doubt, please ask if you are unsure of your requirements being covered. You can also download an illustrated sheet showing steps of loco assembly (PDF format) and check what a selection of our customers said on ourCustomerspage. 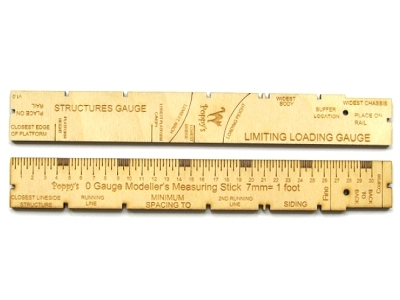 Poppy's MODELLER's MEASURING STICK is a very handy tool, giving you a scale rule, track spacing, back to back (fine and coarse standards), loading gauge, buffer height and structure gauge indicators all on one great modellers aid. 00 gauge version by the Double 0 Gauge Association. 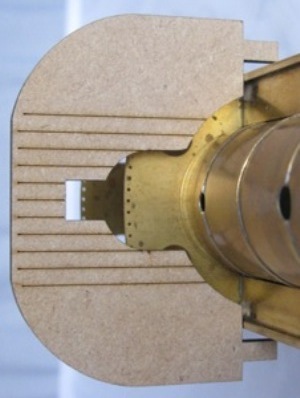 EM gauge version by the EM Gauge Society. Poppy's Tool Carousel helps you maintain a tidy workbench. 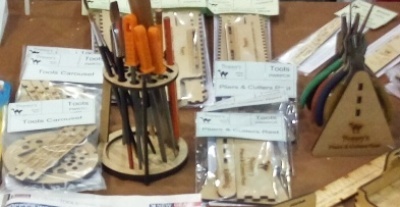 A useful selections of holes and slots keeps you files, reamers, brushes and many other items in close reach without laying on your workspace. Poppy's Pliers & Cutters Rest is the ideal place for your selection of hinged tools, keeping them ready at all times for you to reach for them. 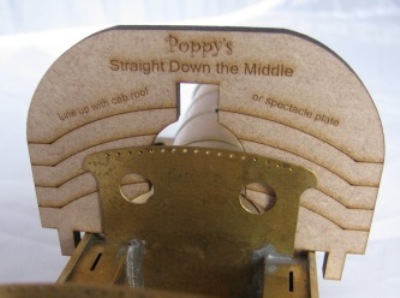 Poppy's Tool Carousel and Pliers & Cutters Rest are both £5 each. 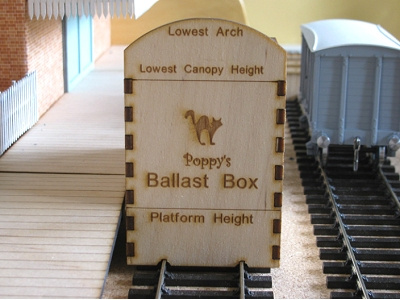 Poppy's BALLAST BOX in 4 and 7mm scales, it not only spreads ballast evenly, but goes on being useful for the lifetime of your railway, long after the track is laid by providing trackside measures for platform, canopy and arch minimum clearances and standard buffer and coupling alignment.